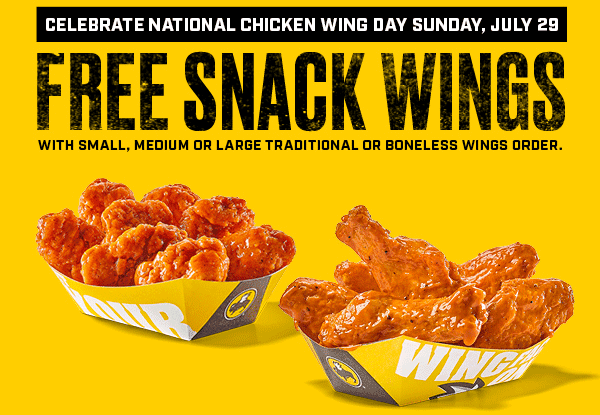 Savvy Spending: Free Snack Wings (with purchase of wings) at Buffalo Wild Wings today, 7/29! Free Snack Wings (with purchase of wings) at Buffalo Wild Wings today, 7/29! 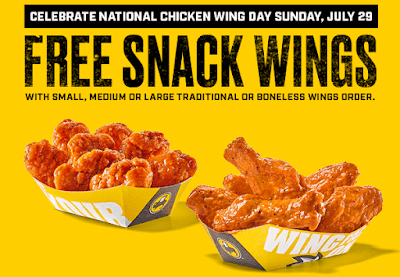 Today, July 29th only and while supplies last, Buffalo Wild Wings is offering FREE Snack Wings when you buy an order of traditional or boneless wings!